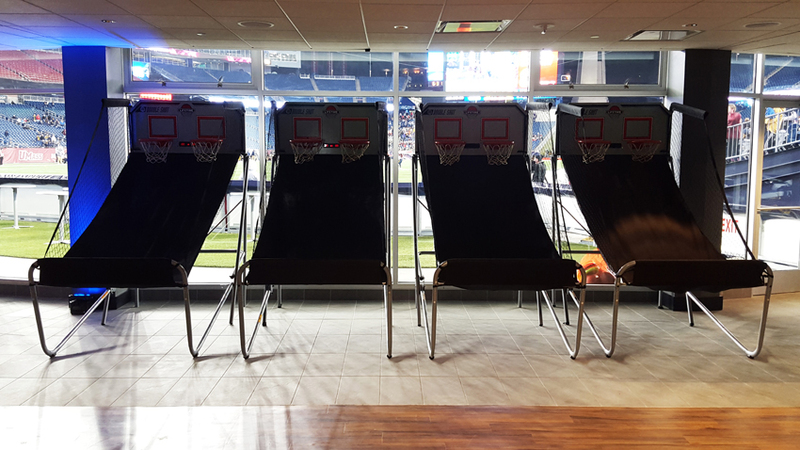 Create a wall of buzzer beating excitement with our basketball pop a shot wall. Perfect for events and tournaments of all sizes. All units have both electronic scoring and timers. 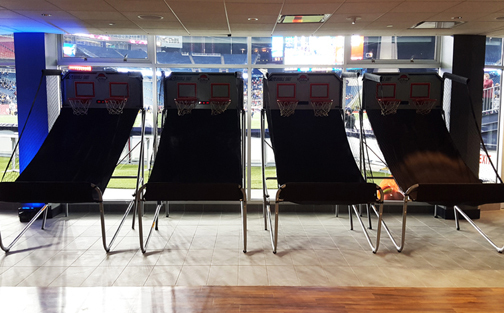 Create a wall of buzzer beating excitement with our basketball pop a shot wall. Perfect for events and tournaments of all sizes. All units have both electronic scoring and timers. We have an unlimited number of units available. Ask about our popular 8 player option. Tournament director, software and extra staff options available. 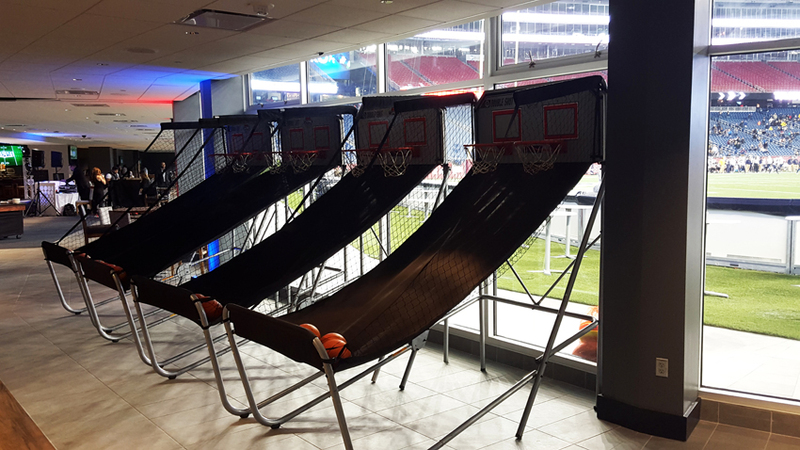 Electronic Basketball Game for Events, Tournaments, Team Building, Schools, Bar/Bat Mitzvahs, Kids/Graduation Parties, College and Corporate Events in Boston and New York.